Early on the morning of the 31st of October 2017 the ERP team arrives at Kwandwe Private Game Reserve just outside of Grahamstown. We are here to assist with an elephant translocation. As the sun starts to rise, the helicopter is up in the air searching for a suitable group of elephants. It only takes about 30 minutes before a group has been located. The helicopter pushes the elephants towards an open area. Only then does the veterinarian start darting the elephants one by one from the air. The elephants have hardly hit the ground before the team from Conservation Solutions led by Kester Vickery is on the ground busy with the elephants, the harness, the big trucks, and the transportation crates. In this organised chaos, an elephant bull is slowly approaching from a distance. The commotion has peaked his curiosity. 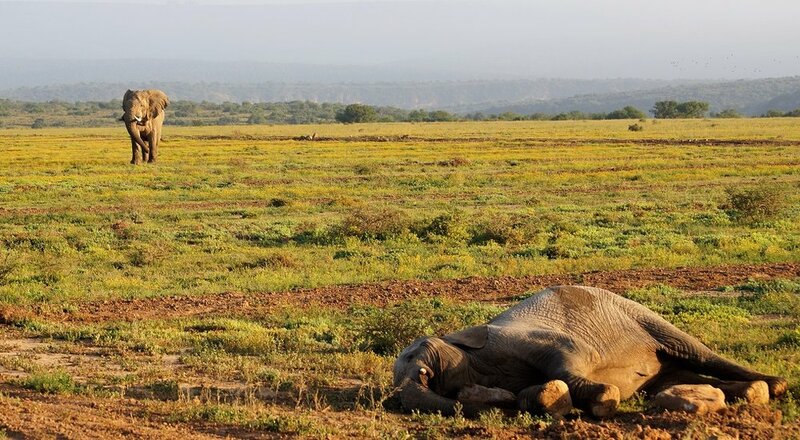 As he gets closer, one of the reserve's vehicles cuts through his path to the sedated females. After a short chase, the curious elephant bull moves away. Within two hours, a family group of six female elephants has been lifted up into the transportation crate and the truck is starting its journey to Samara Private Game Reserve. The drive between the two reserves is normally only around three hours, but it will take the translocation truck twice as long. 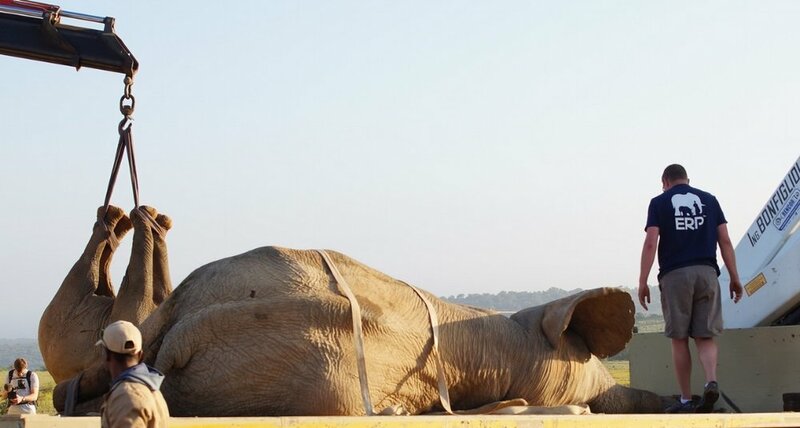 The truck is accompanied by Kester Vickery, who will keep the elephants mildly sedated throughout the transport to ensure that the elephants will arrive safely with limited stress. The translocation truck and the ERP team arrive at Samara Private Game Reserve just after 13 o'clock. The last stretch to the release site is on a dirt road winding its way to a valley hidden between mountains. 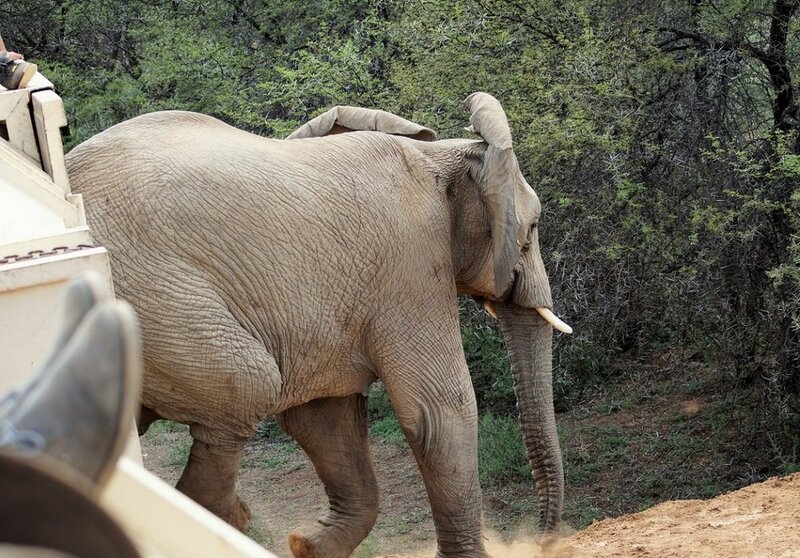 Samara Private Game Reserve has prepared a release site with a ramp for the elephants. The release site is in an open areas with lush, green grass, dotted with sweet thorn acacias, and a river close by. As the doors of the translocation crate opens, the matriarch is the first to appear. She takes the group's first steps down the ramp and into their new home. One by one, the elephants leave the crate. They follow the matriarch, who is waiting for them in between some nearby trees. Here, they gather in a bunch a little dazed and confuces. A rumble passes through the family. After a few minutes, the matriarch, followed by the rest of her family, walk away from the ramp and in between the trees heading towards the river. They are quickly out of sight. The only way to determine their direction is an occasional rumble and the sound of a branch being broken off a tree.